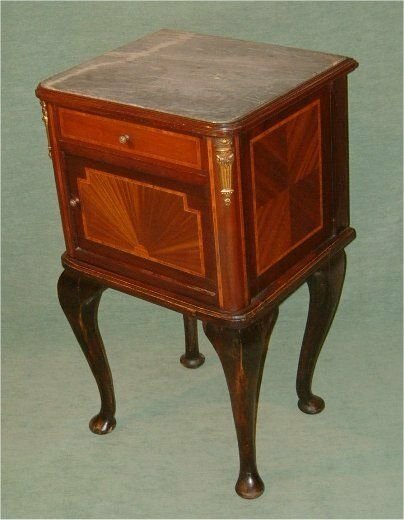 Inlaid Mahogany Oval Regency Work Box. 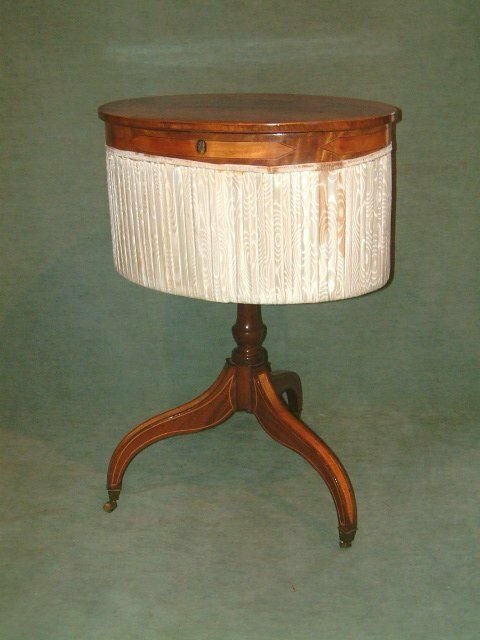 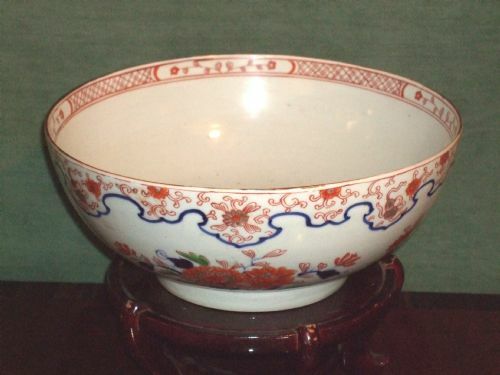 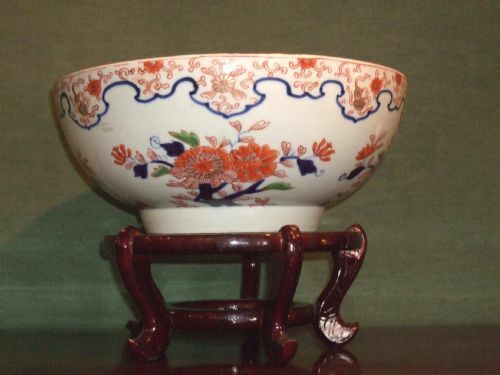 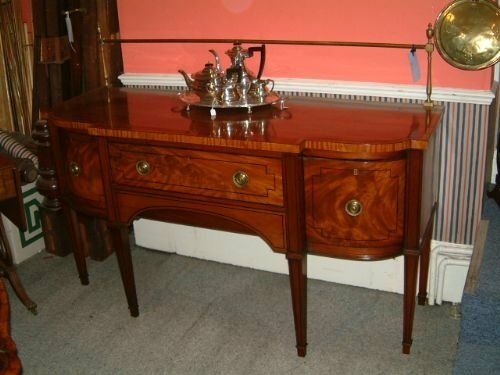 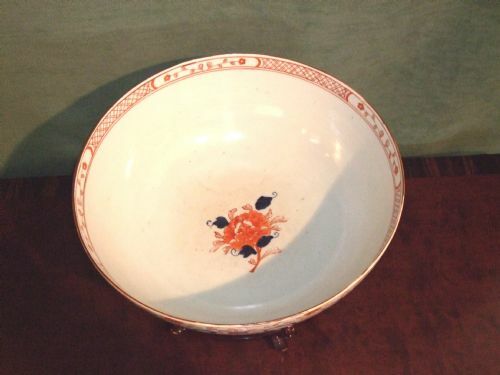 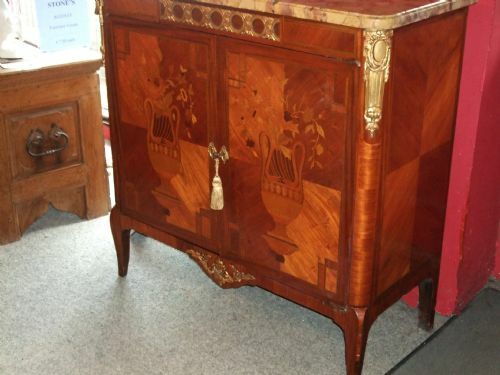 Beautifully Inlaid with Satinwood & Boxwood Lines. 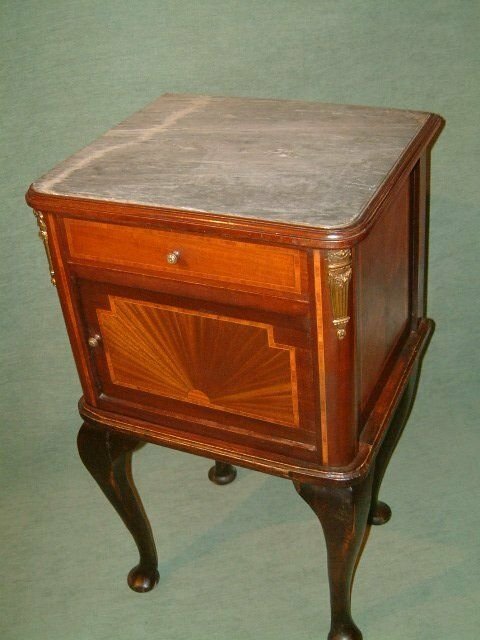 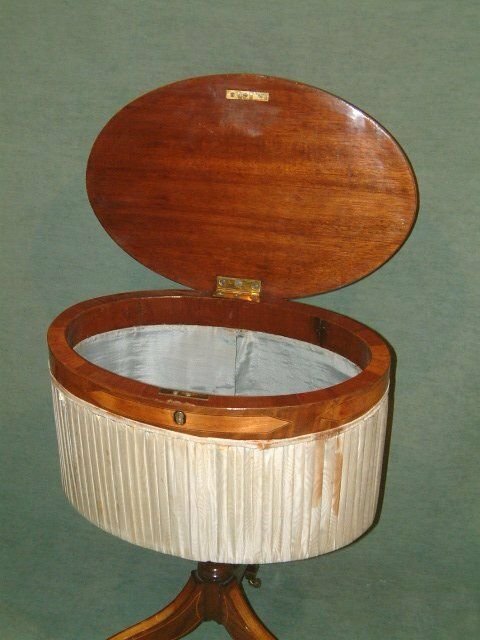 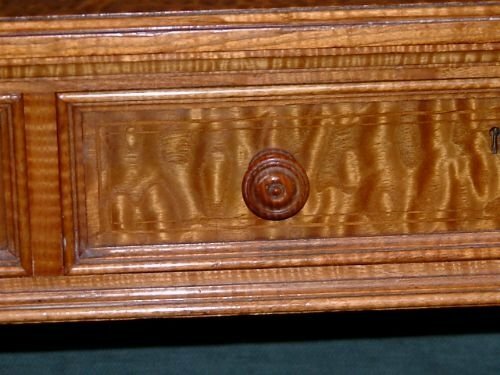 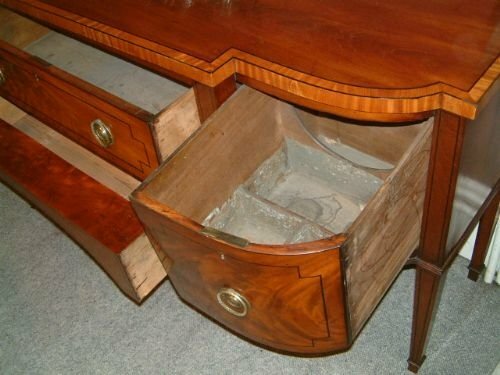 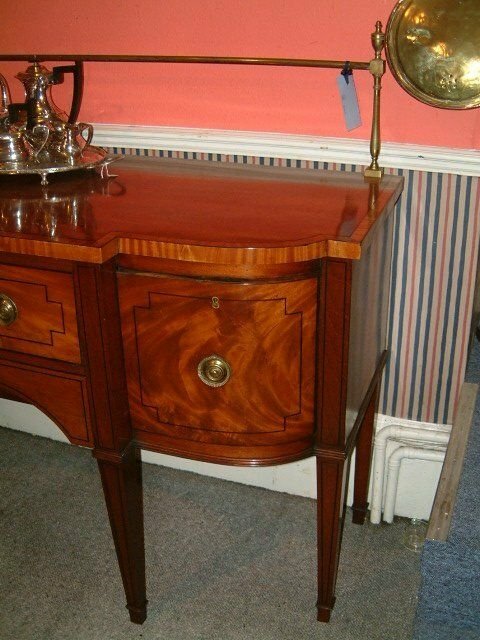 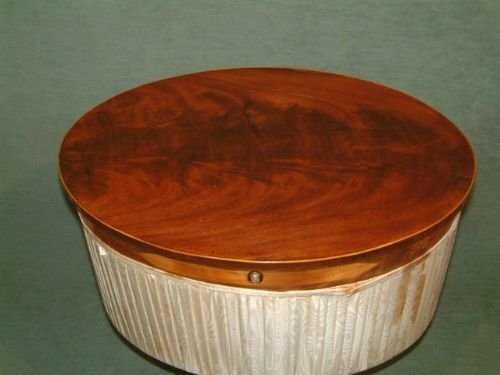 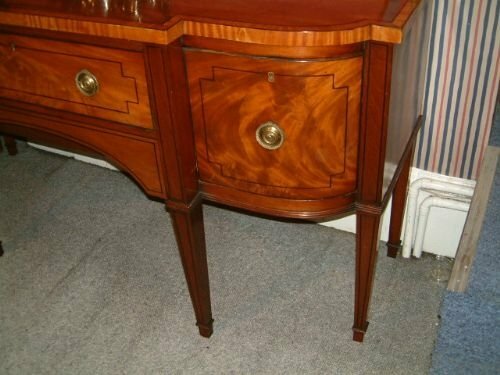 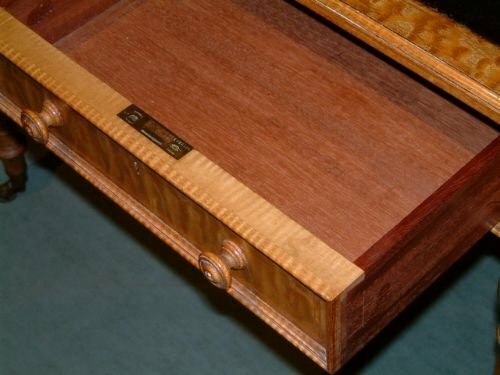 Inlaid lines and Satinwood banding with Cellarette Drawer. Inlaid Parquetry & Marquetry French Side Cabinet with Gilt Metal Mounts. 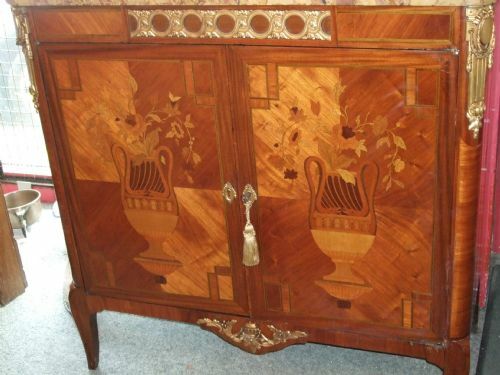 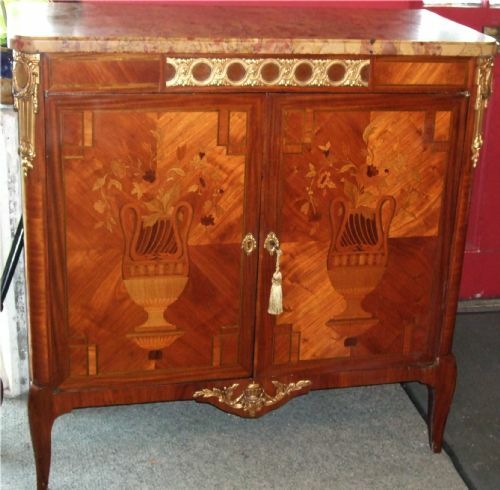 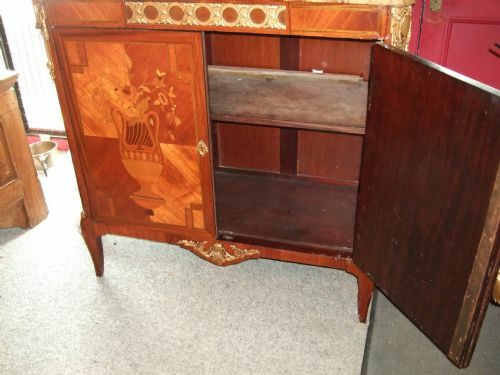 Inlaid Parquetry & Marquetry French Side Cabinet with Gilt Metal Mounts.With Marble Top. 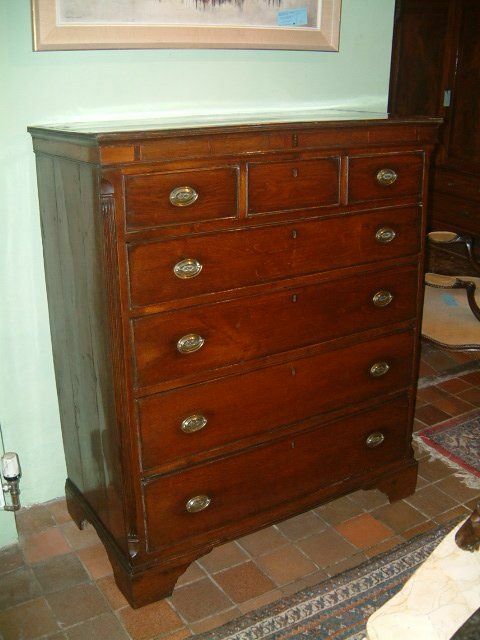 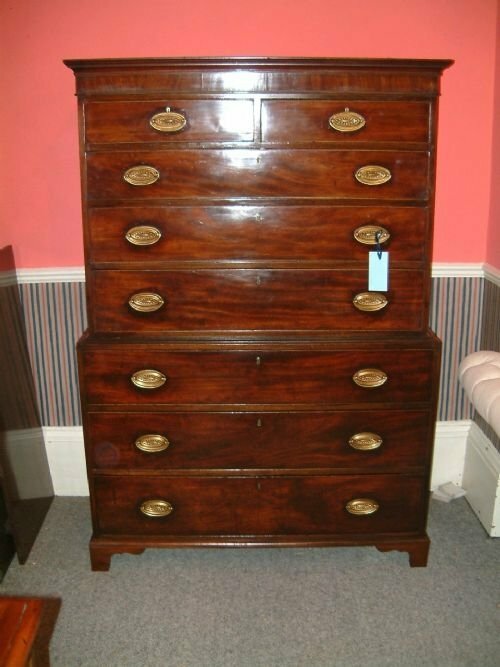 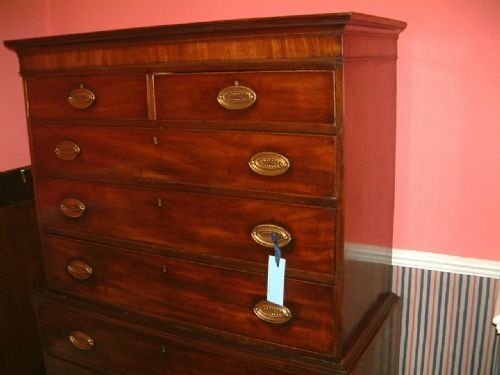 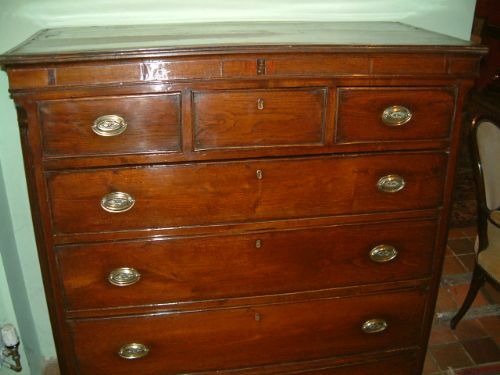 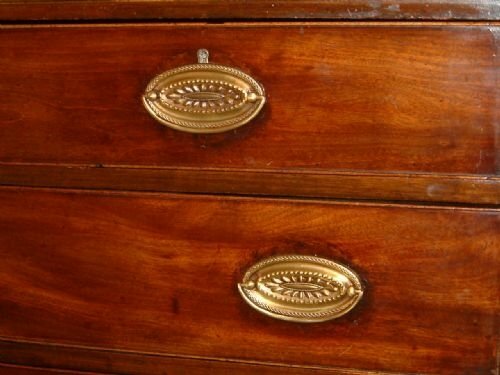 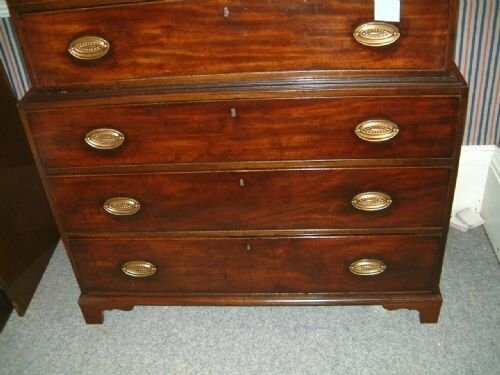 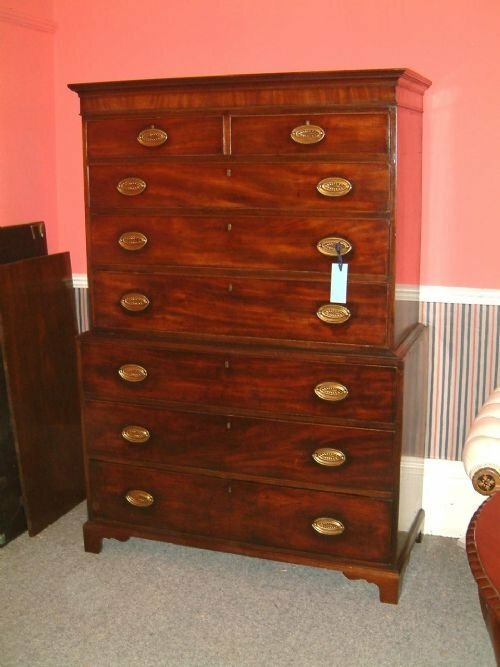 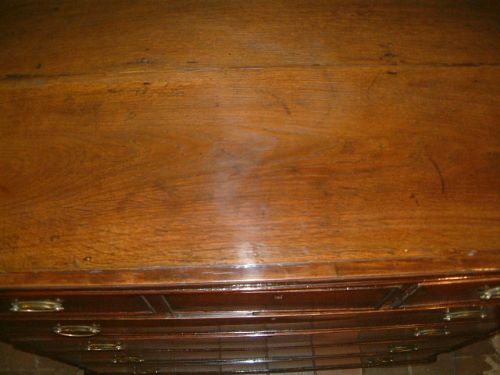 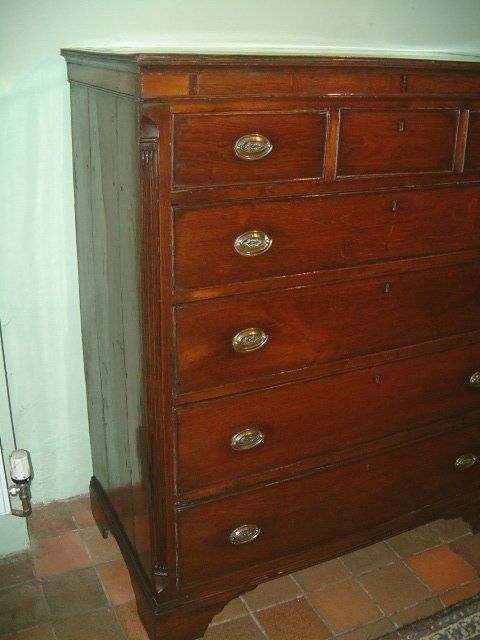 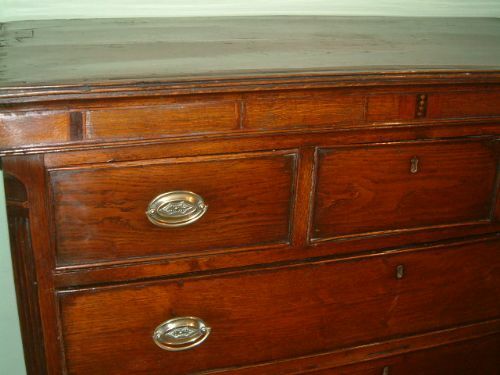 Large 18thC Oak Chest of Drawers with Inlay, Good Colour & Patination Nice inlay. 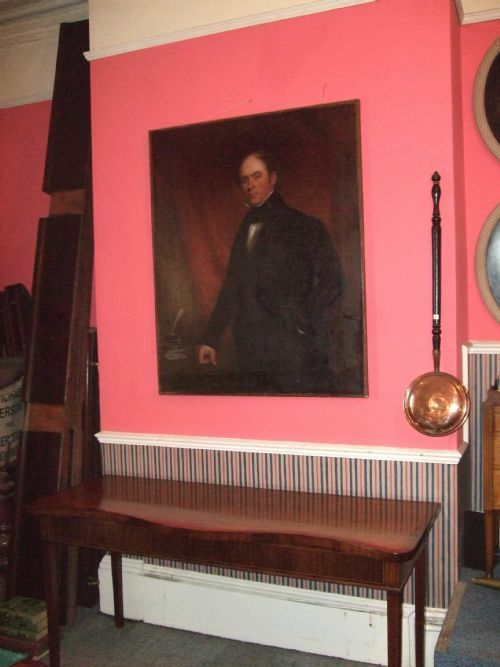 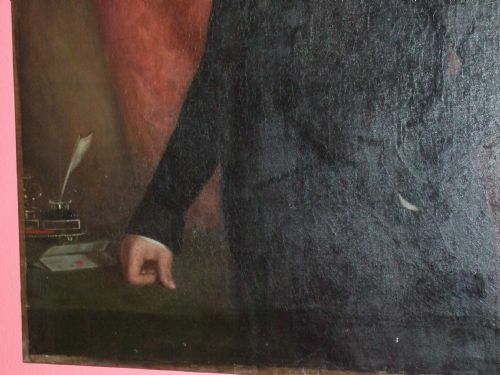 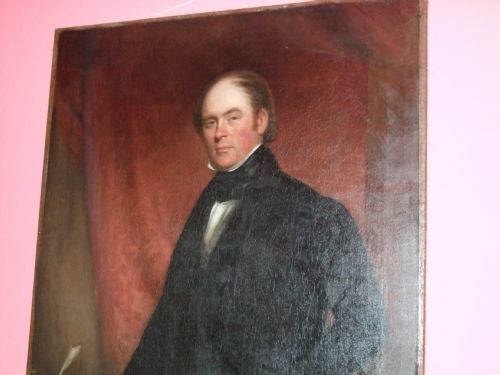 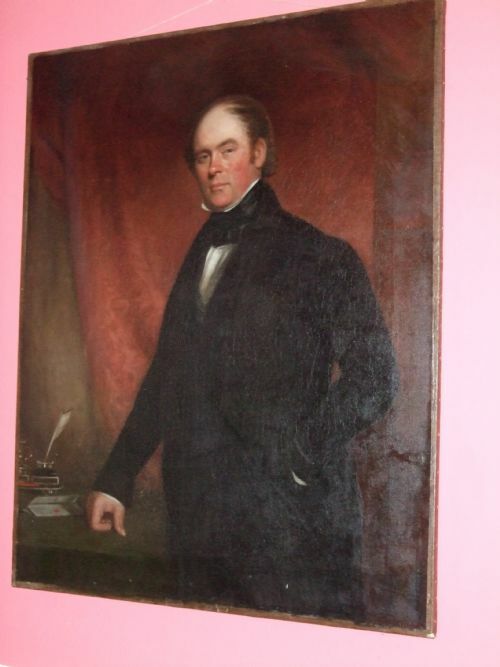 Large 19thC Portrait of a Gentleman Oil on Canvas. 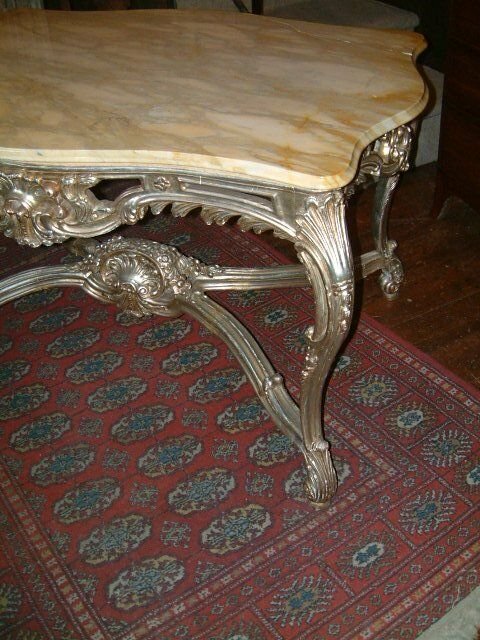 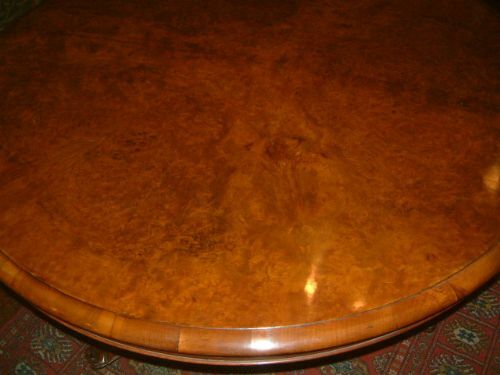 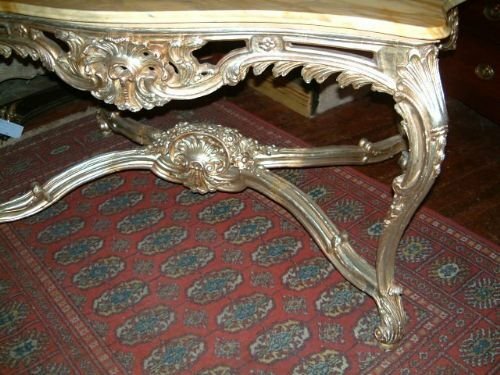 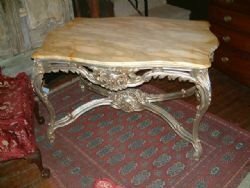 Large 20th Century Marble Top Centre Table on Silvered Carved Base. 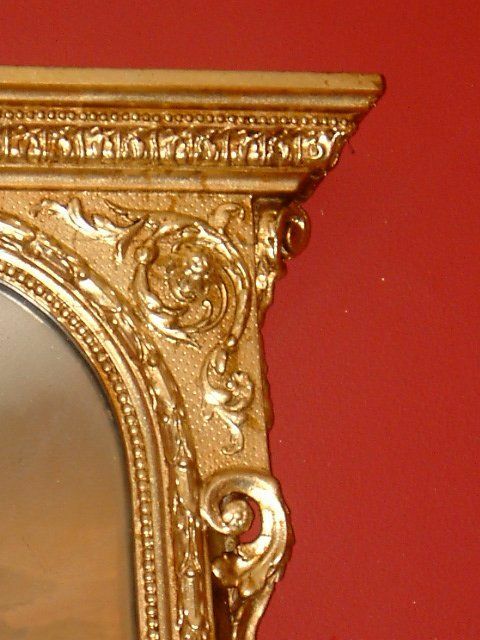 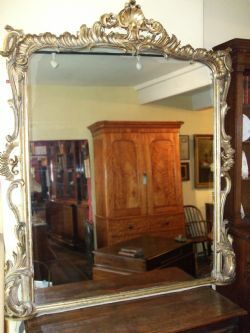 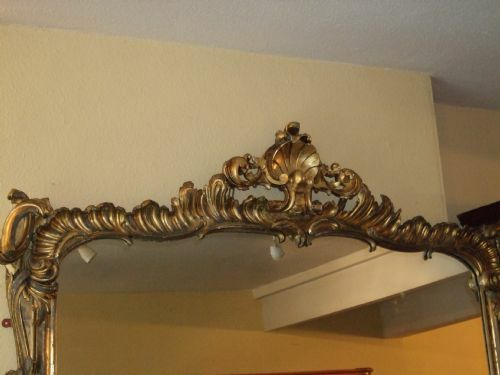 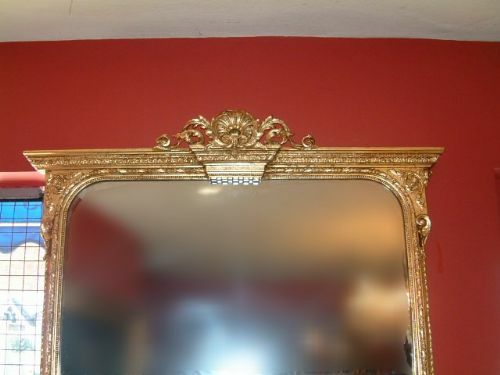 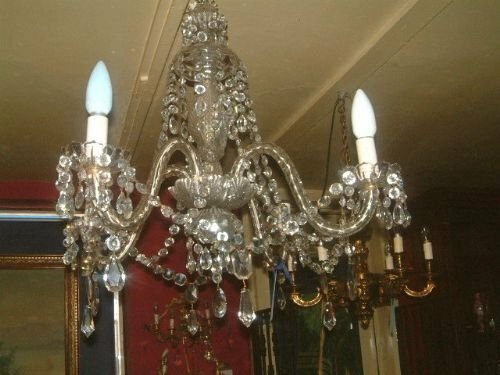 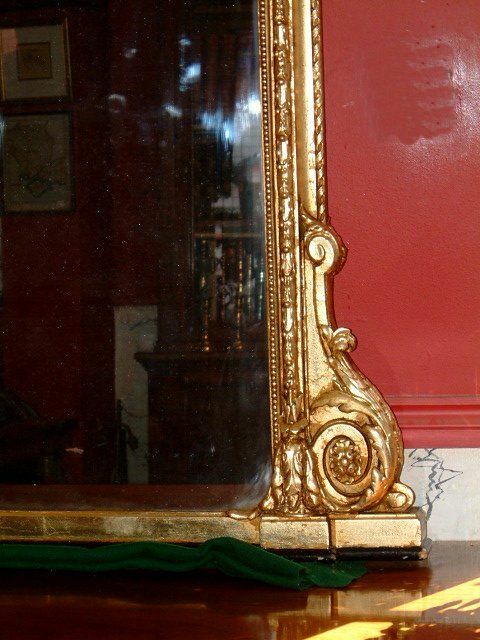 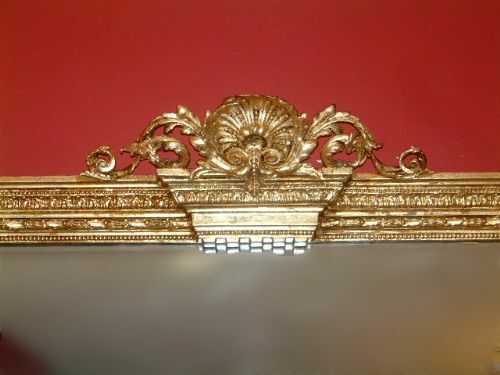 Large Gilt Victorian Overmantle Mirror Superb Carved Detail. 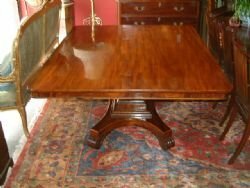 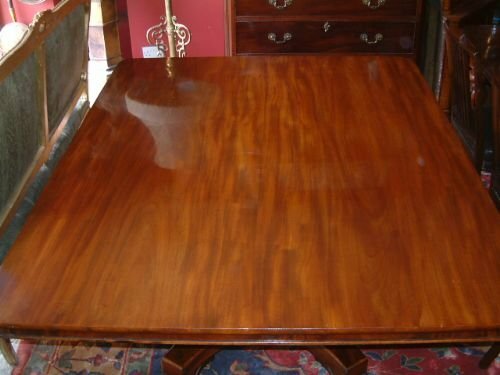 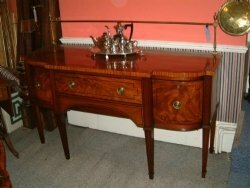 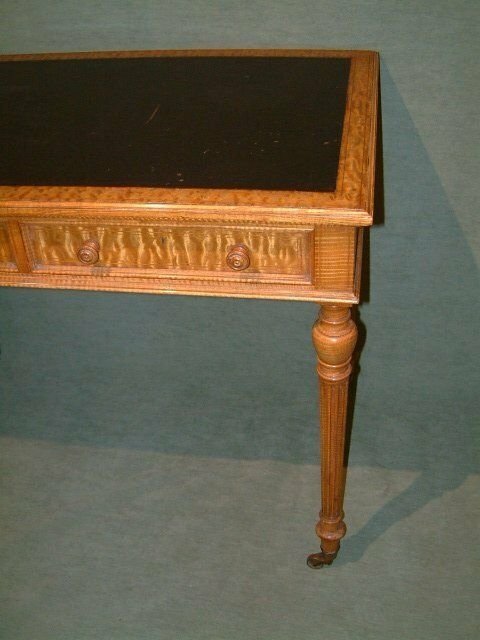 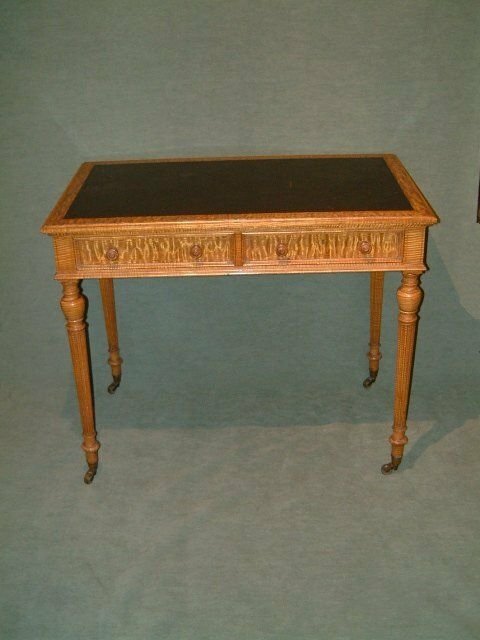 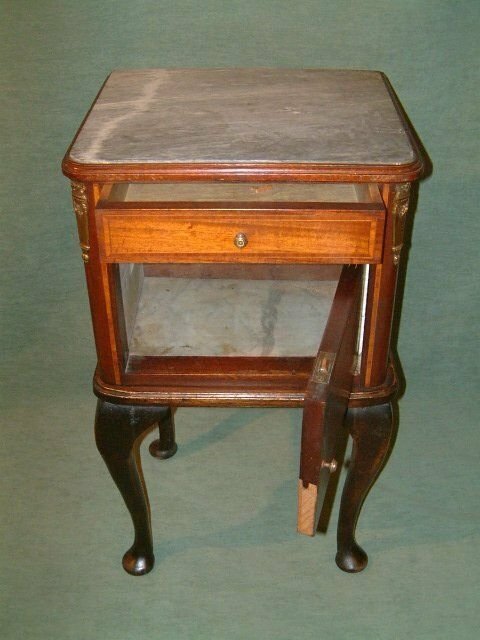 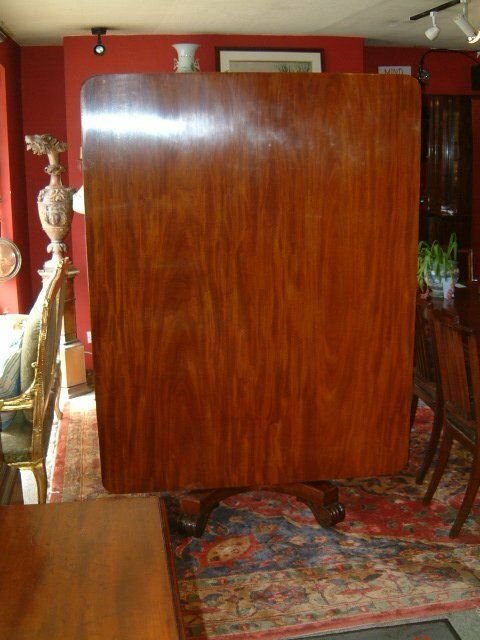 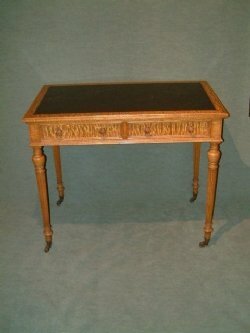 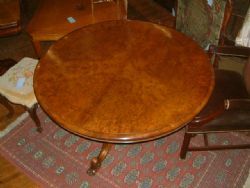 Large Regency Mahogany Pedestal Breakfast Table with 2 Plank Top, Superb Figuring Unusual Large size. 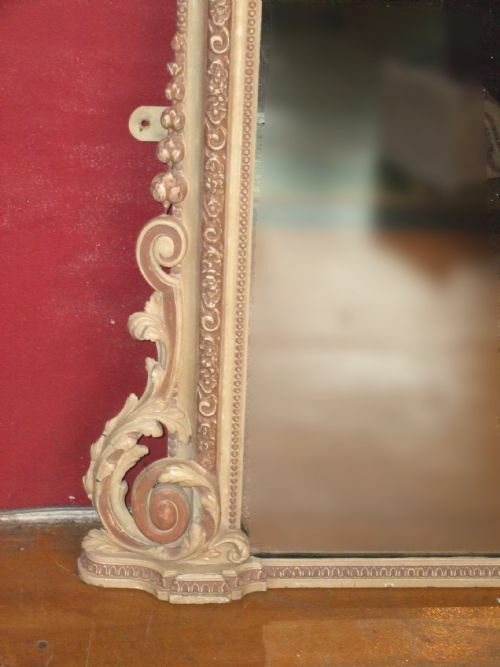 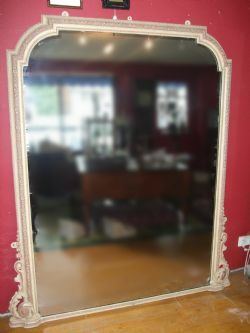 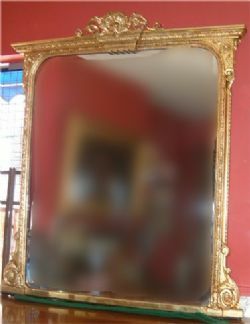 Large Victorian Giltwood Carved Wall Mirror. 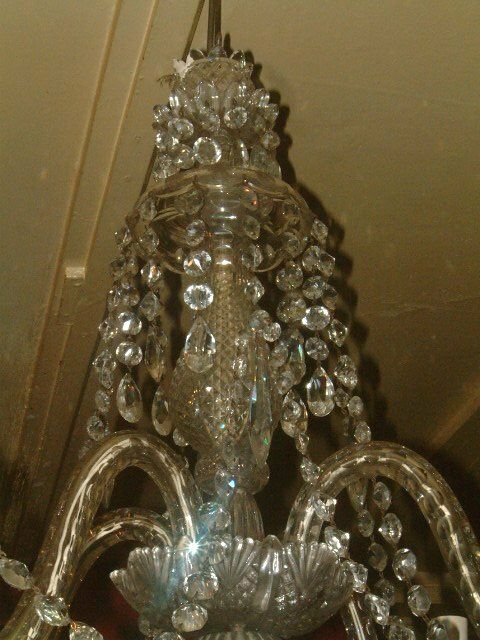 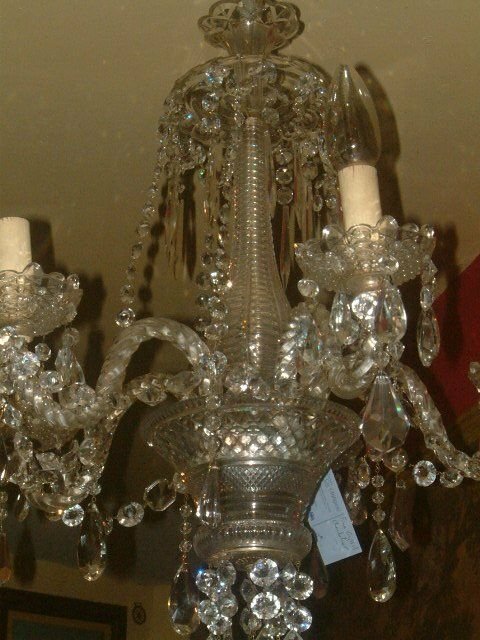 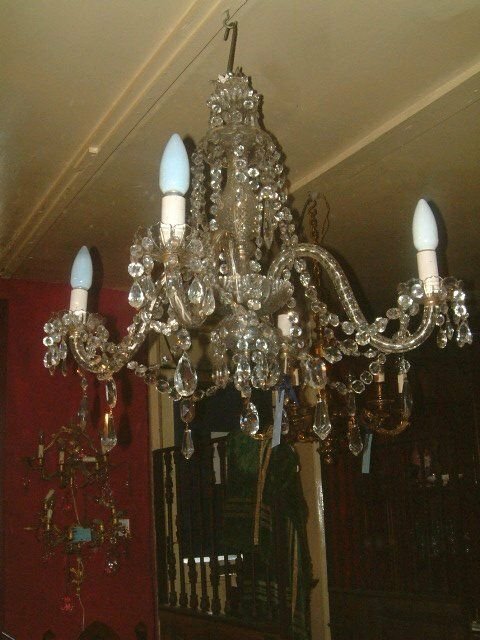 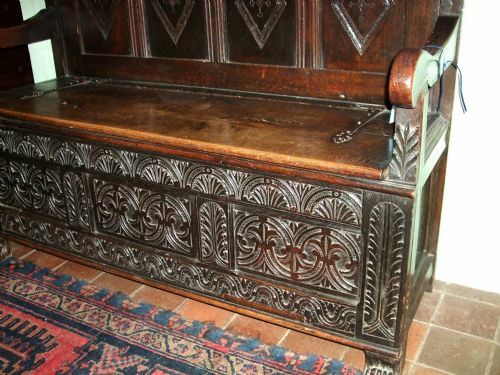 Imposing & Superbly Carved Details. 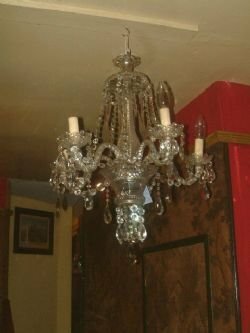 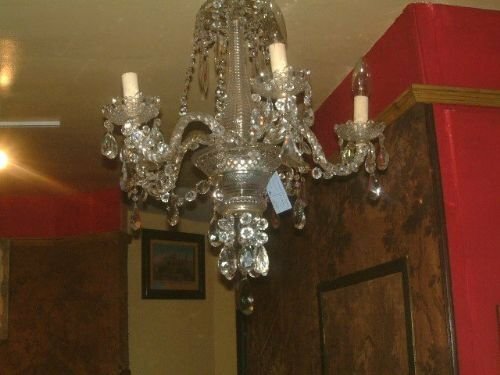 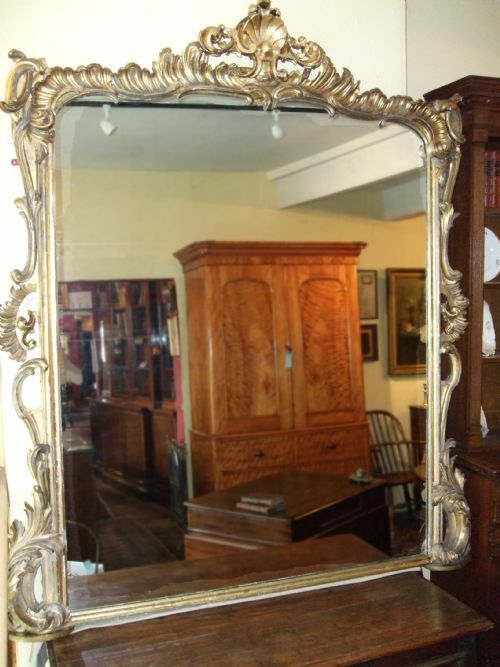 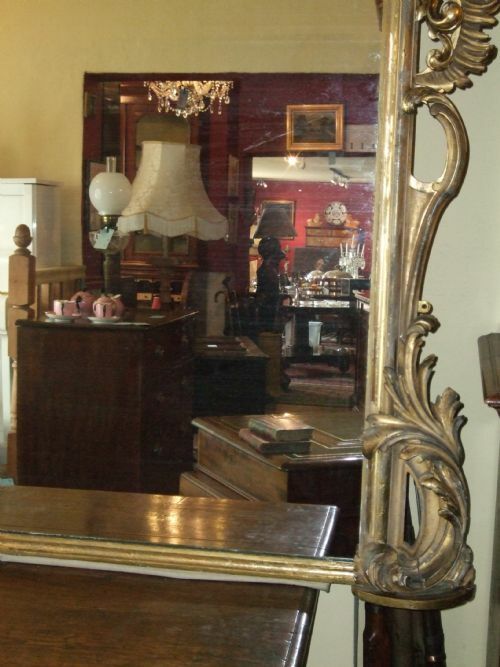 Large Victorian Mirror with Painted Decoration. 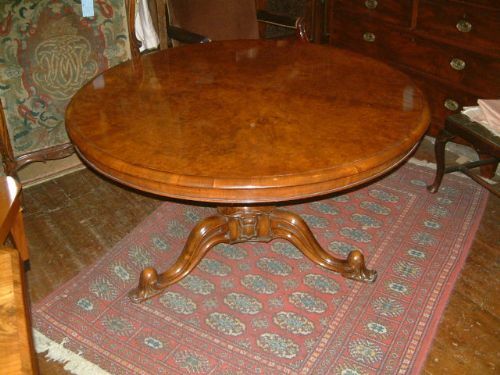 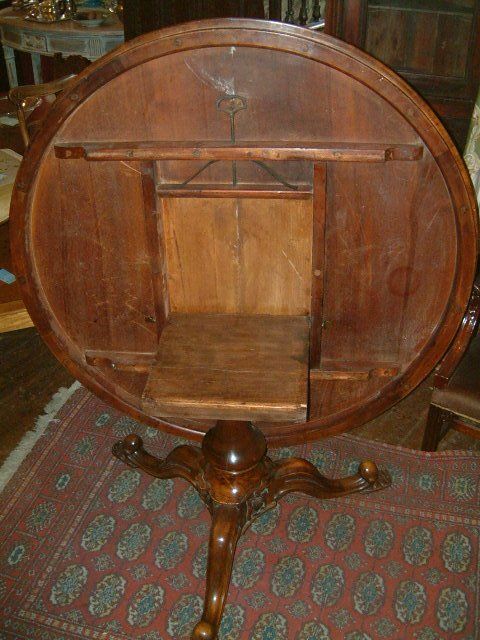 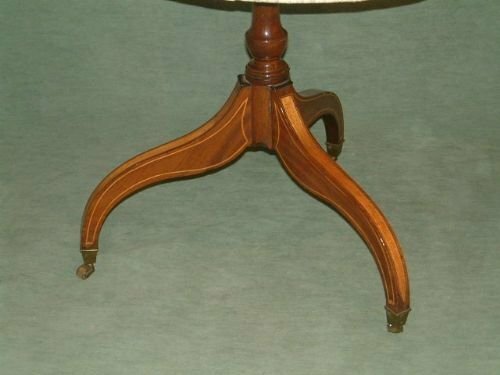 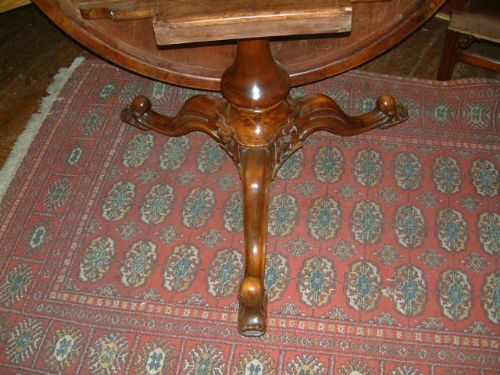 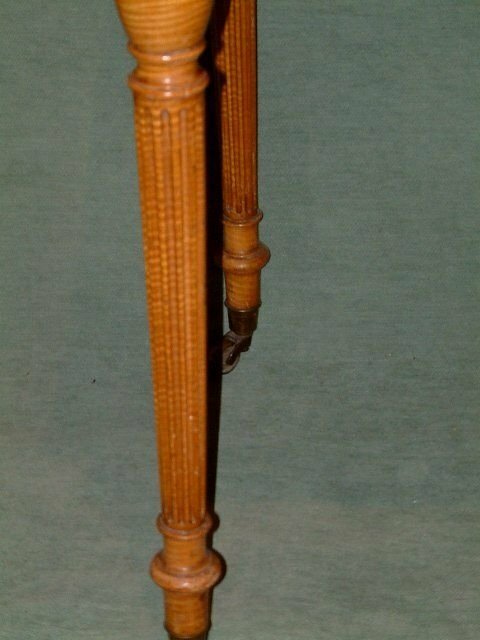 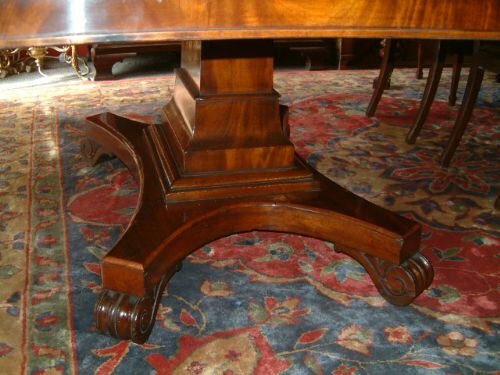 Large Victorian Walnut Pedestal Tilt-Top Dining Table, Superbly Figured Top, Supported on Carved Pedestal. 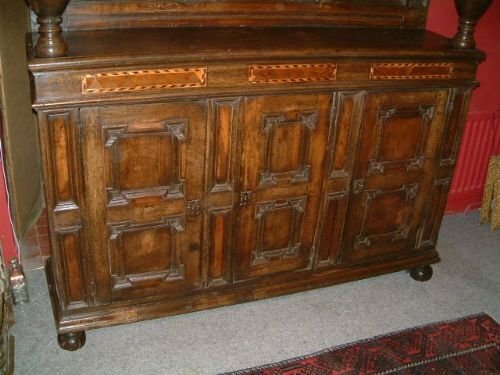 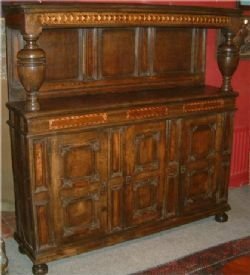 Late 17th Century Oak Court Cupboard Deuddarn Mid Wales with Yew Wood Panels and Inlay Comprising of Sycamore Walnut & Holy & other Woods. 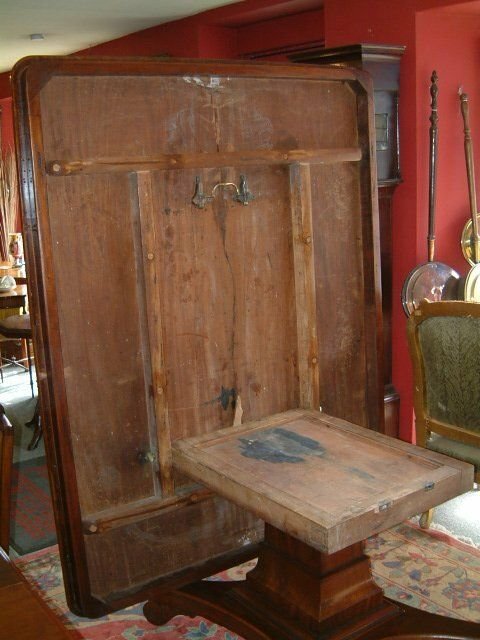 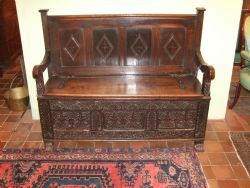 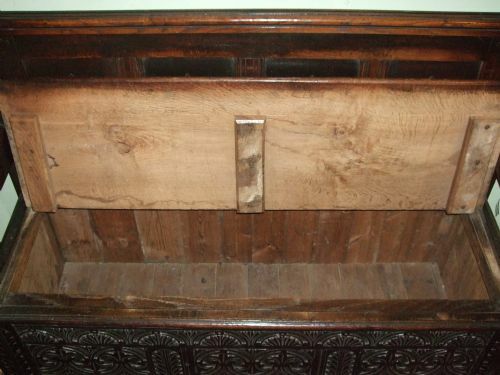 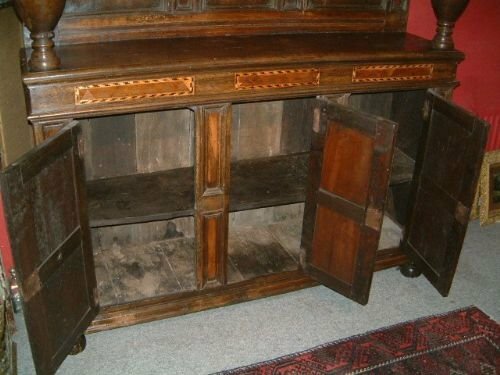 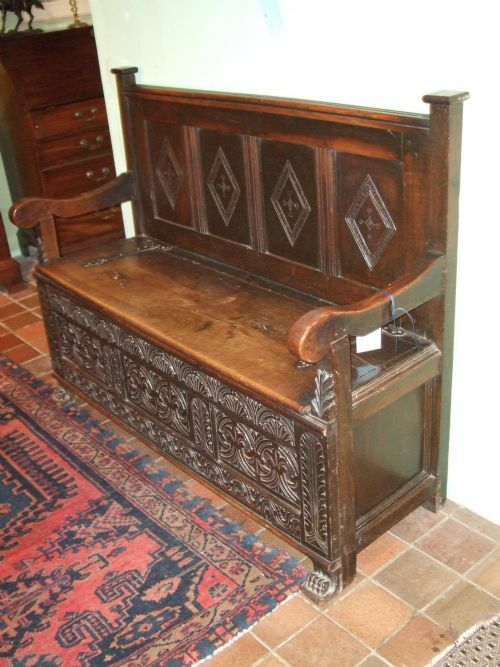 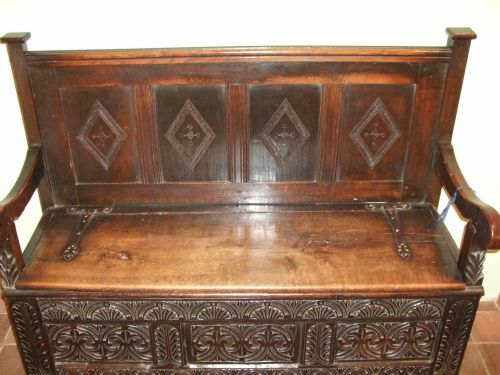 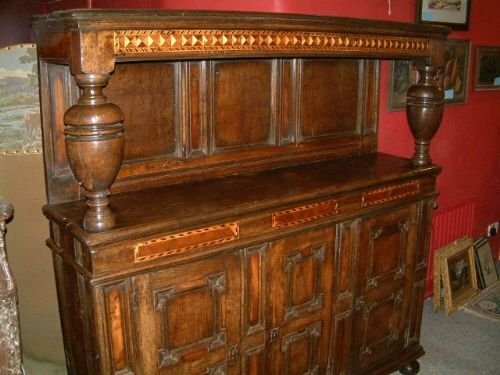 Late 18thC Oak Settle with Iron Strap Hinges & Carved Decoration. 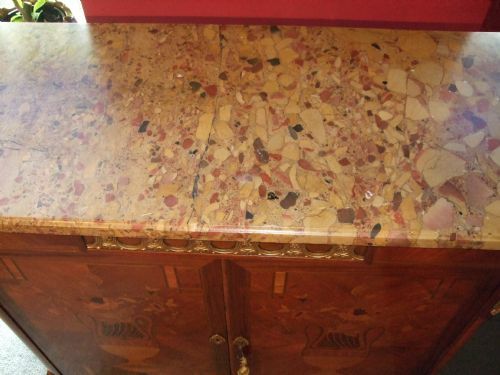 With Marble Top Above a Drawer & Cupboard with Marble Floor,Brass Knobs Inlaid Panels & Ormolu Style Mounts. 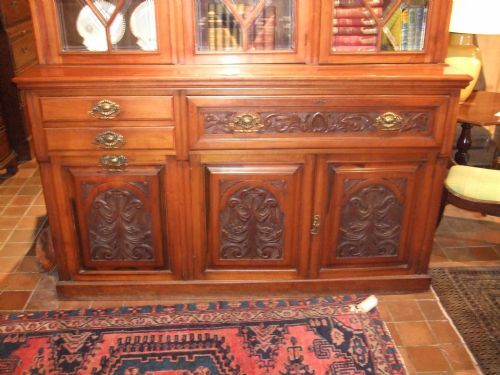 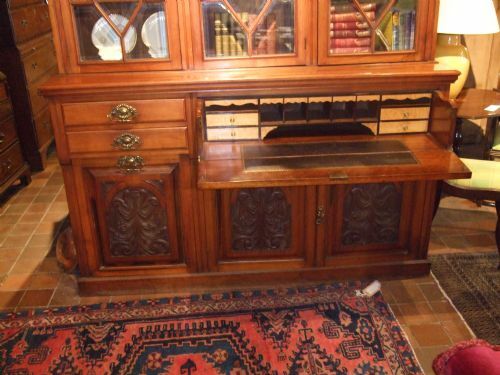 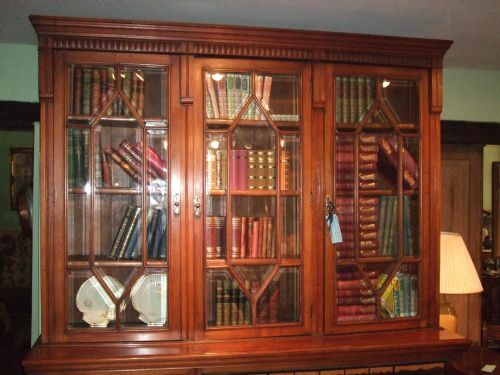 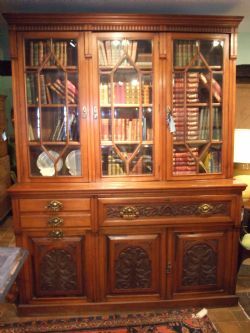 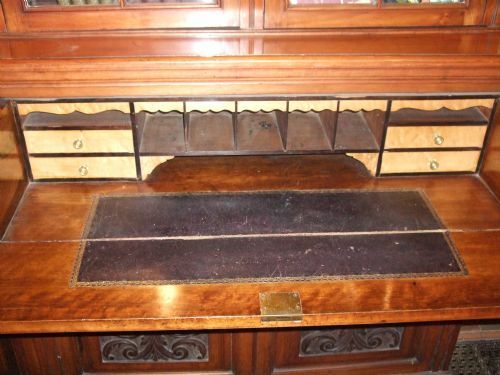 Late Victorian Walnut Secretaire Library Bookcase Astragal Bevelled Glazed Doors Rare File Cupboard, Carved Decoration.